Fall is the perfect time to break out your cozy sweaters, over-the-knee boots, and that new coat you just ordered to wear all season long. And while you might be loving the new clothes and accessories, with bulkier items in the mix, it might leave your closet in disarray. To figure out the best way to keep things organized, we turned to interior designer and expert space organizer Carly Waters for her tips on keeping things in order. Ahead, find out her top four tips for keeping your closet in top shape. Whether we are designing closets from scratch or working with the client's existing space, we always utilize the vertical space. My best tip is to install shelves all the way up to the top of the closet so that you have space to store your out-of-season items. For fall, bring down those sweaters and keep them neatly contained on a lower shelf using clear shelf dividers. Pull out those ankle booties, and place them on the floor beneath your clothes. Make sure to utilize boot shapers so your boots stand up tall and take up less space. Your closest should look just as good as the rest of your house, so display with pride. The best trick is to hang all of your everyday clothing items so you can see your wardrobe at a glance. For fall, we all need to find those camisoles, and who wants to rummage through their drawers at 8 a.m.? Better idea—hang them up (by color). For those heavier jackets that get pulled out for fall, use wood hangers—they keep the coat's shape and never snap. Stow away seasonal and occasional items. Sadly, it's time to retire our bathing suits, shorts, and flip-flops. The best solution for storing your out-of-season items is labeled canvas bins. Another great trick is to store your dressy shoes in clear, stackable plastic bins. They prevent dust and keep them out of your everyday collection. And don't forget to label! In order to see your favorite pieces of jewelry, hang necklaces and bracelets on decorative hooks. Try to make your closet feel like a boutique—find vintage accessories or pretty trays that add to the decor and can store your earrings and rings. For your scarf collection, keep them at arm's reach by storing them in open, woven bins. Go on to shop some of the must-have items for fall. 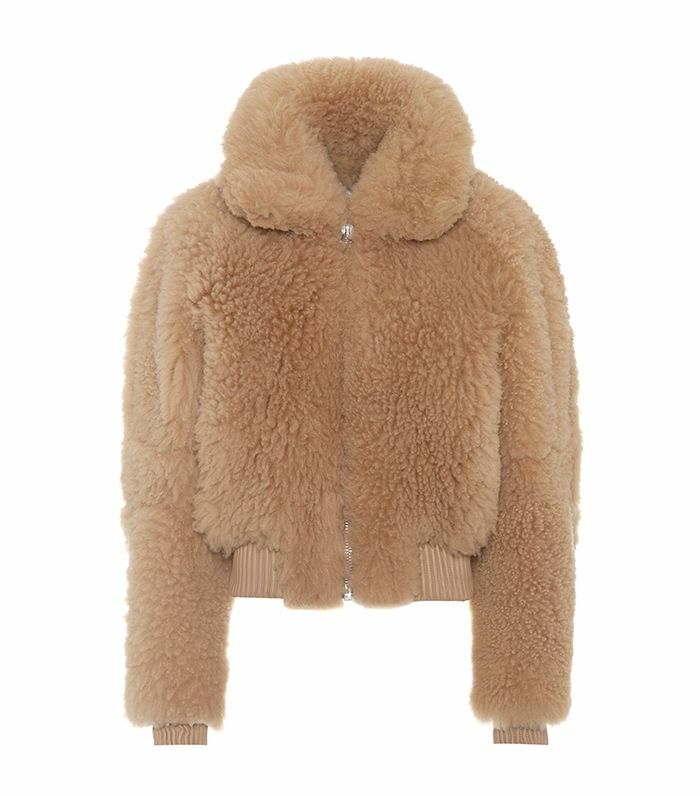 Cozy up in this jacket for fall. One of the season's It bags. We've loving these puffy sleeves. A cool twist on the kitten heel. Seen on every fashion girl. Try a sweater with a cutout. One of the season's biggest colors. Perfect for a date night. A cool spin on the bucket bag. Upgrade your pants with a velvet version. You can't go wrong with this silhouette. Tailoring is everywhere right now. We love the trim details. Bring this on your next road trip. Style yours with checked pants.